Retired neurosurgeon Ben Carson used to be a rockstar in Baltimore. But, after running as a Republican in the 2016 presidential election and accepting a post in the Trump administration, he has sullied his good name forever, according to a new report from the Associated Press. Carson grew up in poverty, but he didn't let it define or hamper his dreams. He worked hard to eventually become the Director of Pediatric Neurosurgery at Johns Hopkins in Baltimore. In 1987, he gained fame after performing an historic 22-hour surgery to separate conjoined twins. It's all in his autobiography, Gifted Hands. Then, his career took a slightly different turn. At the National Prayer Breakfast in 2013, Carson gave a now iconic speech about the dangers of socialized medicine, just feet away from President Obama. It made him a hero in the conservative movement and encouraged him to pursue a political career. He now serves as secretary for Housing and Urban Development in the Trump White House. Carson's entry into politics, some Baltimore residents say, was a mistake. Since he is now associating himself with Trump, they don't want to associate with him. Bishop Frank Reid believed Carson "could walk on water." While Carson is still respected around town, “the Trump virus is weakening Ben Carson’s image,” Reid said. Principal Alicia Freeman said his portrait no longer hangs in the Archbishop Borders School. “I took it down,” said Principal Alicia Freeman of the portrait she’s since moved from the school’s second floor hallway to a less visible spot inside a reading room bearing Carson’s name. The doctor’s inspirational message now feels hostile, she said. Greta Van Susteren, speaking out in defense of Carson, called such claims "outrageous." Of course, this isn't the first time the media has suggested Carson's conservatism has affected his legacy. 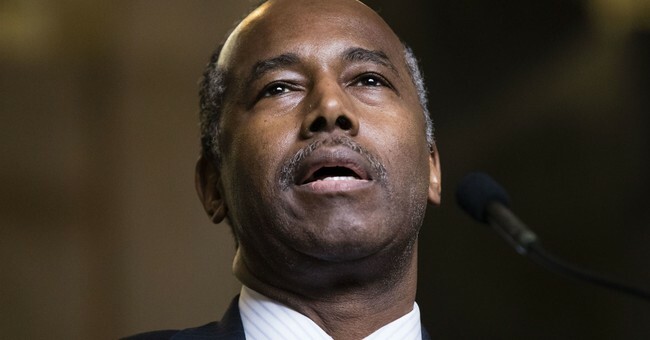 "As Ben Carson bashes Obama, many blacks see his legacy face," a Washington Post article read in 2015. Carson's political ideology does not erase his accomplishments or the fact he has saved many lives in his operating room. Certainly those he impacted are not soon to forget. Dr Carson saved my friends’ son’s life. You may disagree with his politics, but he remains a gift to humanity.